Health and Fitness Joining a gym or starting a new exercise program can often be intimidating or daunting. We are here to make it easy for with with an amazing community feel. Classes are fun with just enough challenge. Personal Trainers are experienced and passionate. And for the rest of March when you join* you will receive a 30 minute Massage FREE of charge thanks to Inner West Sports Massage. Sports Remedial Massage Sports Remedial Massage is well known for serving athletes and people with active repetitive jobs. However we don’t consider how repetitive and destructive sitting at a desk or behind a steering wheel can be. Extended periods of time (30 minutes or longer) are incredibly detrimental to hips and shoulders. This leads to back pain, neck tension and head aches amongst other injuries. Remedial Sports Massage systematically treats your source of discomfort and addresses the original source of the pain. For peace of mind our Remedial Massage Therapists are recognised with major Health Insurance Providers for on the spot rebates. Don’t take our word for it… Book your first 60 minute massage and receive $20 off**. We hope you’re well. Here are the latest updates @Ruben’s. Its been a fantastically scorching summer. I hope you made the most of the beautiful weather. 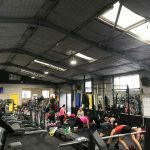 With more rain setting in, what better way to take advantage of all the fabulous gym classes, personal training and massage services we have to offer. Remember… Flowers don’t grow without the rain. The importance of BALANCE is apparent through all aspects of life. Whether it be relationships, work, pleasure, nutrition and activity. Balancing out high energy activities with low intensity restorative activities is 100% necessary. Without balance is imbalance and sub optimal function. This includes movement disfunction, pain, injury and illness. The problem is with so many of us (health professionals also…) is that we wait for the pain to become unbearable, we wait for an injury to occur or until we fall ill.
Sports Remedial Massage is one of the best ways to actively enhance recovery and relieve stress. Basically, if you listen to your body when it whispers, you won’t have to hear it when it screams. Today stress is a real part of life… Tools for stress management are extremely valuable. Pippa and Josh are our in house Sports Remedial Massage Therapists. 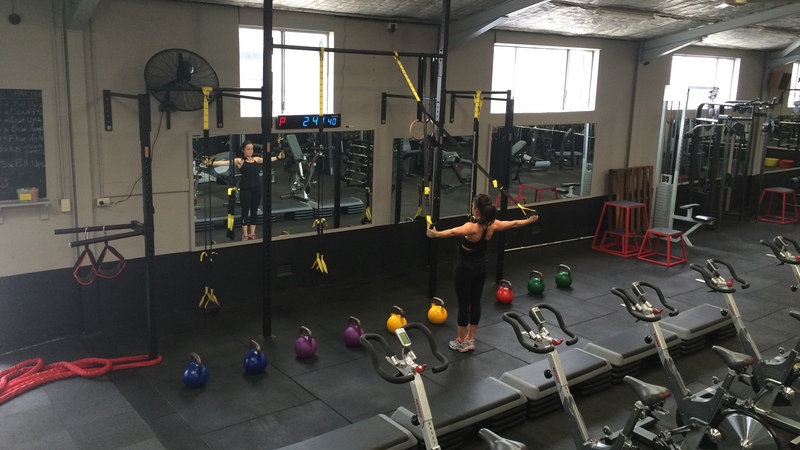 A commitment to Personal Training is a commitment to yourself to enhance your Body, Health, Fitness and Vitality. With your commitment to Personal Training** we are offering a FREE 60 minute Massage (till the end of March). The DEXA Scan Mobile Van is back! DEXA is the Gold standard of body composition analysis. Measuring Body Composition has many valuable applications. Below is the list of (accurate) data points that will be gathered from a short 5 minute scan. Individual Scan Summary Report that contains macronutrient recommendations, ideal weight recommendations, ideal fat loss recommendations, to help you achieve your health and weight loss goals and improved total body health. For all members that had a scan 6 months ago here is the perfect follow up to see how you are tracking. A sound mind in a sound body! Latest research shows regular exercise supports and improves brain power! Supported by Inner West Council, Marrickville Classic Hour At Ruben’s is open to anyone over the age of 55 providing a fitness instructor on the floor for guidance and support. This is completely FREE OF CHARGE. There will be a fitness instructor supervising at all times and classic music playlists for the hour. 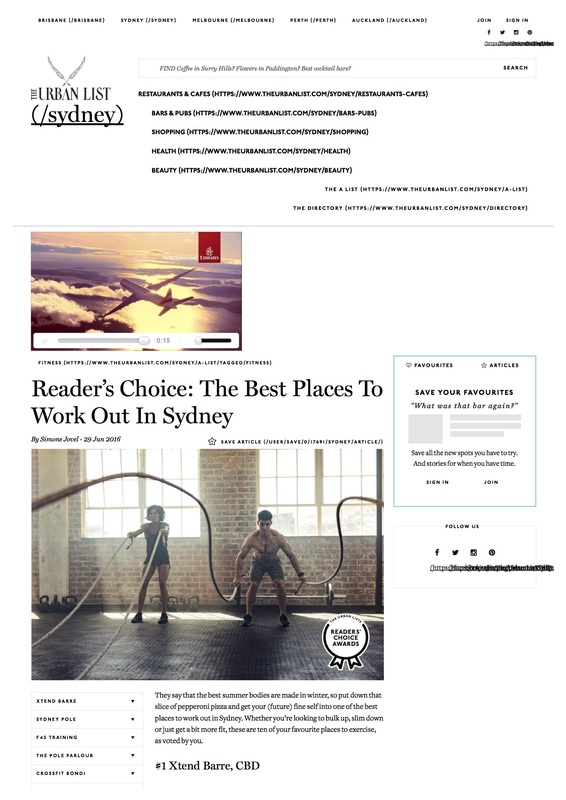 Urban List Readers Vote At Ruben’s as one of Sydney’s Top 10 Places to Work Out! 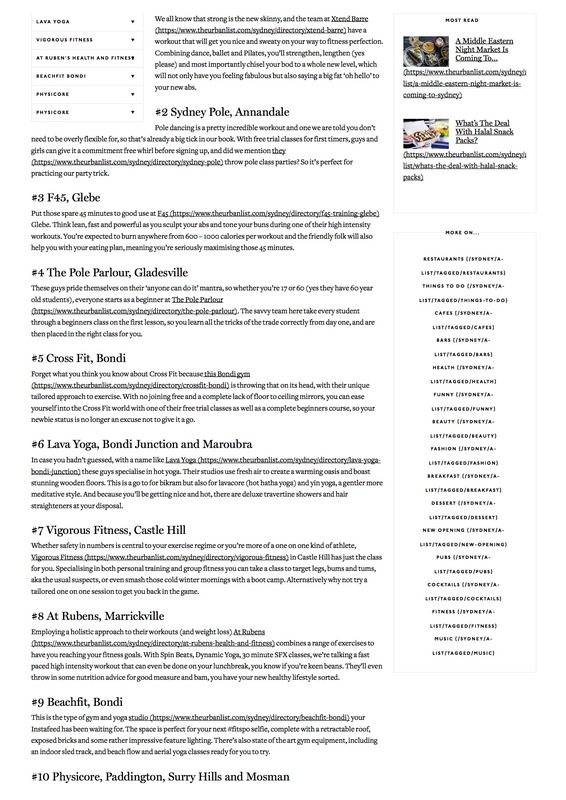 Representing Marrickville in Sydney’s Inner West for premium health and fitness At Ruben’s has impressed the readers at The Urban List. 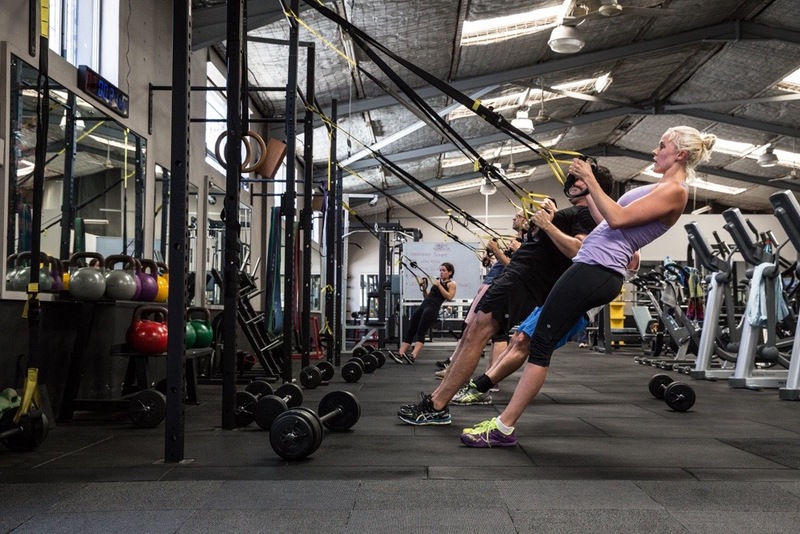 Known for its face paced uniques SFX Strength Circuit classes, Night Club like thumping Spin Beats classes and Soothing Dynamic Yoga Classes At Ruben’s in its short time in Inner West’s Marrickville has grown to be be the premier site for Spin Classes, Strength Circuits, Dynamic Yoga and Personal Training. Finding a group exercise class to music or personal trainer which is fun and delivers results has never been easier when @Ruben’s. “Winter is Coming” is not only the tag line of the world’s most watched television series. It is also a seasonal reality. With winter comes the dropping of temperatures, the earlier sunsets, and for many of us, the reduction of motivation. Unfortunately, we cannot control the weather or the angle at which our planet revolves around the sun, BUT we can affect our choices regarding our fitness and well-being. Choosing to exercise can have its challenges whether it be Fitness Classes indoors, Bootcamp outdoors or doing your own thing at the park. So to help weigh up our options, we want to look at the argument between exercising outdoors vs indoors. Many people love taking a run along the beach or joining their friends for a bootcamp in the local park. When picturing either of those images in your mind, do you include wet grass, groups of unenthusiastic peers and cold weather? Of course not! The best way to not let the good fitness habits you’ve built in the warmer months wane away, is to move your exercise regime inside. It’s as simple as that! 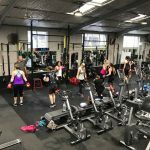 The benefits of doing a circuit training class like SFX At Ruben’s, can be felt year round, but during the colder winter months it is a no-brainer. Winter may be coming, but you don’t need a collection of medieval knights from a fantasy world to keep you safe. The warm community at the gym will do that for you! We look forward to seeing you soon. Clean Slate 28 … Commences Wednesday 1st June. Clean Slate is an opportunity to re-calibrate your metabolism. At Ruben’s we will encourage you to have a holistic approach to exercise by attending 1 x Spin/Boxing, 1 x SFX and 1 x Yoga each week, for 4 weeks in a row. With a strong focus on eating more whole/natural foods and exercising with more balanced approach (strength/cardio/flexibility). You will feel amazing and reap the rewards of more energy, lower fat mass and increased strength. Register by writing down your name on the poster outside the Spin Lab. Sports Massage At Ruben’s… We are very excited to announce that in coming weeks we will be providing a remedial and sports massage service. Stay tunes for more details. Tough Mudder – Saturday 22nd October… Are you looking for a challenge? Keen for a test of physical fitness and mental grit. At Ruben’s is putting a team together to enter the Tough Mudder Ocotber. Lets start preparing now! Small Business Awards Finalists! We are very grateful and excited to announce that we have been named as finalists. Thank you for all your votes. 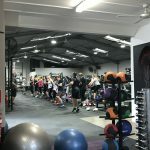 We have such an amazing fitness community that continues to grow! Let’s keep the energy flowing. Many of us set new years resolutions back in January. Now is a great time to re-visit our goals and see how we are tracking. As we head into winter motivation can sometimes drop off. Clear concise goals will be the small change to pick you up and keep you moving! Ask about the team about RESULTS AT RUBEN’S – Fitness testing to keep you accountable and give yourself some clear objective targets.